My swim training, to prove that I can survive the one and a bit kilometre swim required to do a half-ironman, has started. Last Friday was horrible and I know that I need to put in the hours, so I’ve rejoined our local gym, The Activity Zone. 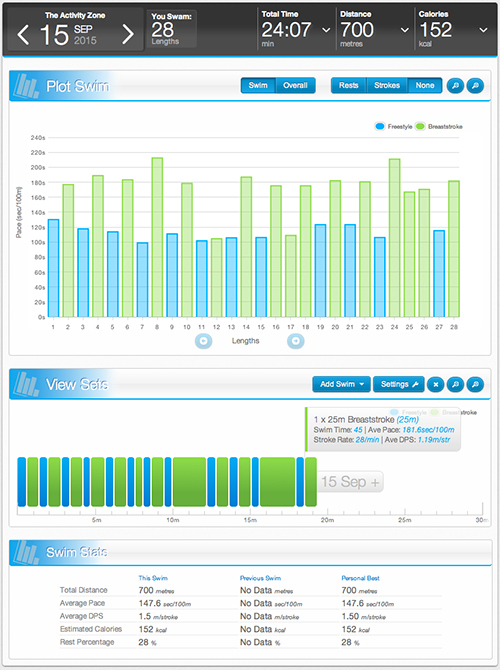 When I went for my second swim, this time as a proper member (rather than a pay-as-you-go visitor), I was asked if I wanted a Swimtag – I’ve never used one before, but I thought I’d give it a whirl and it’s a genius idea. 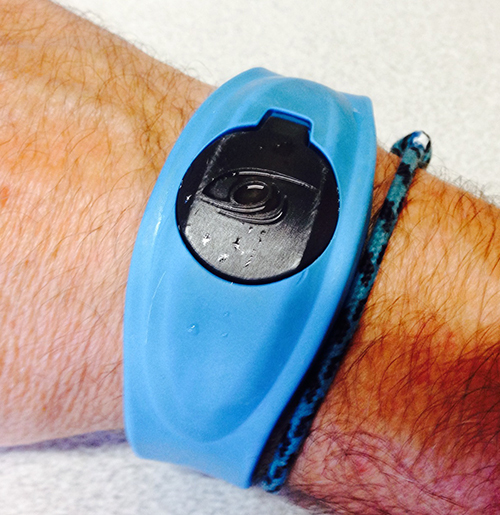 A Swimtag is a blue adjustable bracelet that gets registered to your membership card when you go for a swim, and then tracks your swimming. In really simple terms it means that you don’t have to try and remember how many lengths you’ve swum, something that I am particularly rubbish at (which we’ll come back to). But it also captures the speed you swam each length and, presumably by registering the movement in your arms, tells your what strole you used for eash length… pretty clever, eh? What’s really smart though is that, after your swim, once you get home, you can log into the Swimtag website using your club membership number and pull back a summary of what you did… all in a really easy to read format. I know that I swam for about 25 minutes this morning, but I thought that I’d done something like 14 or 16 lengths, so seeing 28 lengths and 700 metres was a great boost. I’m really sold on this simple device… well done TAZ for thinking to offer this to members… It’ll be interesting to see how this compares to my new Garmin Fenix, which also measures swim distances, albeit in a much bulkier (and more expensive) package.